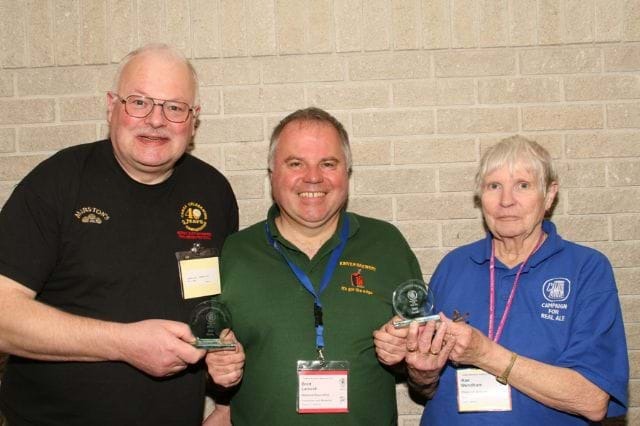 Derby CAMRA’s website was recognised at the highest level recently when it won the “Most improved CAMRA Website of the Year” award at the Members weekend in Torquay. The website had previously been crowned “East Midlands CAMRA website of the Year” and it marks a remarkable double for the site. Derby Branch Treasurer, Julian Tubbs was on hand to receive the award (pictured left) from National Executive member, Brett Laniosh (pictured centre). Congratulations must go to Webmaster, Richard Mackney (Fish Media) and the Team for the hard work they have put into the site. 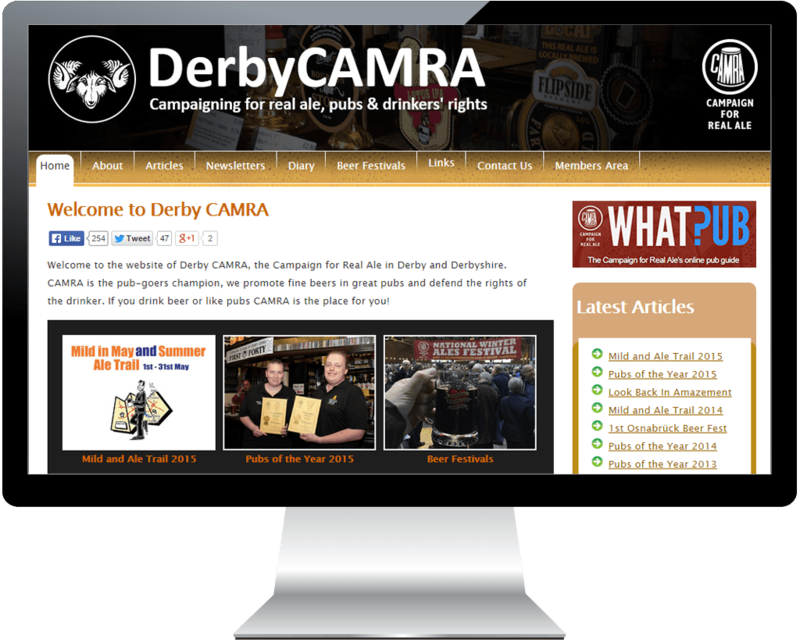 If you have yet to view the website then log on to www.derbycamra.org.uk for all the latest news on Derby & Amber Valley CAMRA.